Interested and eligible applicants may download the prescribed form from the adilabad.telangana.gov.in website and submit their application form before 04-07-2018. The prescribed format along with the photocopy of all relevant documents should be sent to the address below. 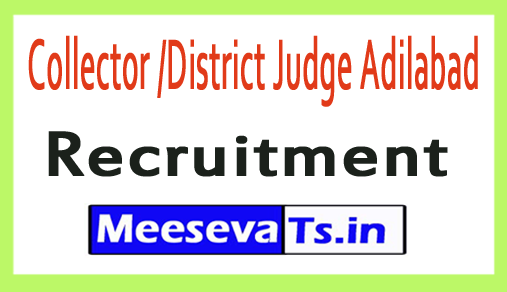 "Collector and District Judge, Adilabad"